Dentistry itself appeared to Dr Raia Aliwy as she recognised the importance of how a healthy smile makes people feel good about themselves and how such a smile makes others view them. 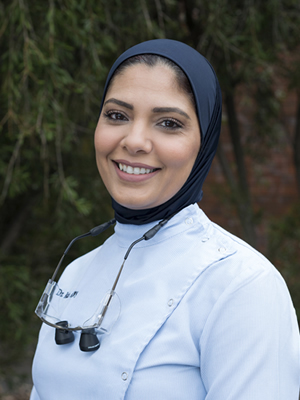 “It is now my mission and passion to help my patients achieve the perfect smile they can feel happy and confident with.” Dr Raia is well known for her care of anxious patients and always wishes for them to feel relaxed. “As a mother of four gorgeous children one of my favourite pastimes is spending quality time with them and my wonderful husband.” The family loves to travel together and explore different parts of the world. Dr Raia Aliwy also enjoys volunteering at the food bank, helping to pack food to help those in need. Exercise is also important to her, and she loves to do Pilates at her local gym. Contact us today to schedule an appointment with Dr Raia Aliwy!